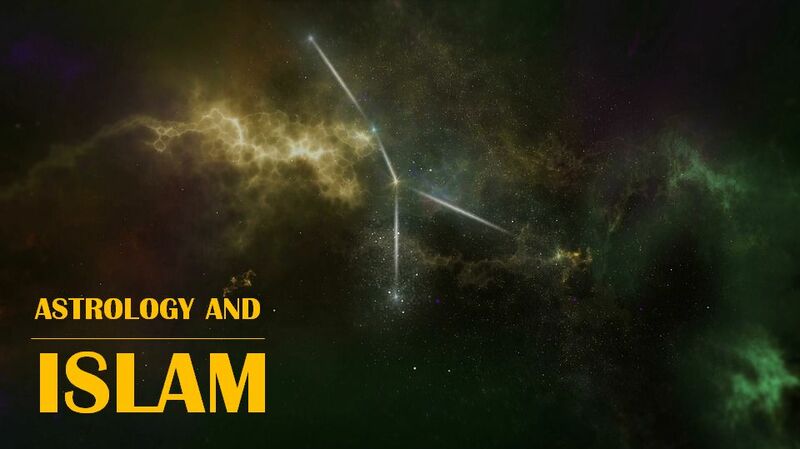 Astrology and Islam ~ Islam My Ultimate Decision . Everyday in the newspapers a section on Zodiac signs appears and tell the readers how the day would be as per the particular Zodiac sign of the reader - and let me tell you this is one of the most read section by a large segment of the people for they believe that movement of stars at a particular time of hour, day, week, month or year will have telling effect on their business, social life and worldly affairs. In fact the astrology is so popular among a large section of our society that they do not take decisions like naming children, marriages, business deals and travel plans unless they have consulted an astrologist or have read books on astrology to find he best dates to perform a certain task or undertake an engagement. In recent times, polytheistic astrology has dramatically spread, and it has become a means of distorting people's belief in Allah. Private institutes have been founded, books, magazines and newspapers are published, under various titles such as What's in the Stars for You?, Constellations and many others in order to advertise such a seductive commodity that often appeals to the uneducated public. But the question is: Do stars and their movement shape our destinies? Many would answer in positive for it has become a general belief that stars, their position at a particular time and their movement has telling effect on our lives and since it is scientifically proved that that astrology does effect our lives, there is no harm in believing in astrology and makes one's decisions of life. But here a question arise: If astrology had all the answers about in one's life, what about the beliefs and faiths? Where does the belief in God goes who is the master of the universe and without whose nod, nothing moves or happens? Honestly speaking, Islam forbids all forms of fortune or future telling, whether it is based on astrology or palm readings. Although many things do happen as predicted in astrology or what the lines on our palms mean, the fact of the matter is that believing so nullifies one's belief in God and faith that whatever happens to a person is because it is willed by God and not due to peculiarities of one's Zodiac sign.